To prove Perth doesn’t have a monopoly on stupid behaviour, Dodgy Perth temporarily becomes Dodgy Greenough. It was there in 1879 a few young blokes got together to celebrate Guy Fawkes Night. 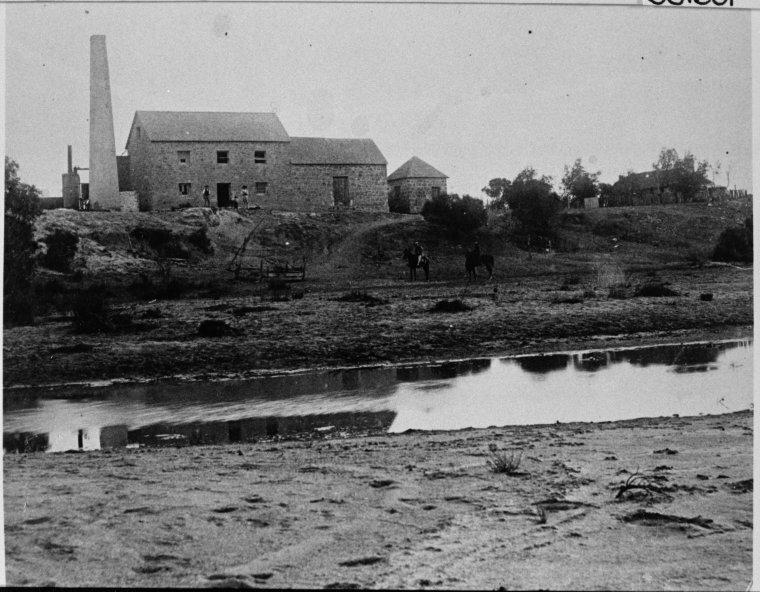 When they met up near John Maley’s mill (above), it turned out that one of the gang had brought along two shotguns, a rifle and a canister of gunpowder. What could possibly go wrong when a group of drunk young lads has possession of firearms, you ask? At first they amused themselves by firing a few shots in the air, but this quickly proved boring. So one youth decided it would add to the evening’s entertainment if he unexpectedly fired his gun between the legs of his companions. When fourteen year old, John Cook, got hold of the rifle, he decided to copy his mate. Sneaking up behind Isaac Patience, John put the barrel between Isaac’s legs and fired. But instead of going clean through, the bullet smashed into the young man’s left thigh, tearing away a huge piece of flesh and shattering the thigh bone. Blood flowed everywhere. The panicking group carried Isaac to his home, and one of them ran to get the doctor. Unfortunately before the doctor could reach the victim, poor Isaac had breathed his last. John Cook was tried for manslaughter and, presumably overcome with guilt, pled guilty to the charge. The jury, however, had sympathy for the kid and decided that he was not guilty, despite his plea. This, as you can imagine, divided the local community between those who wished to see Cook punished properly and those who agreed with the jury. So next time you want a night out, Dodgy Perth suggests bullets and booze don’t mix. Stick to one or the other.